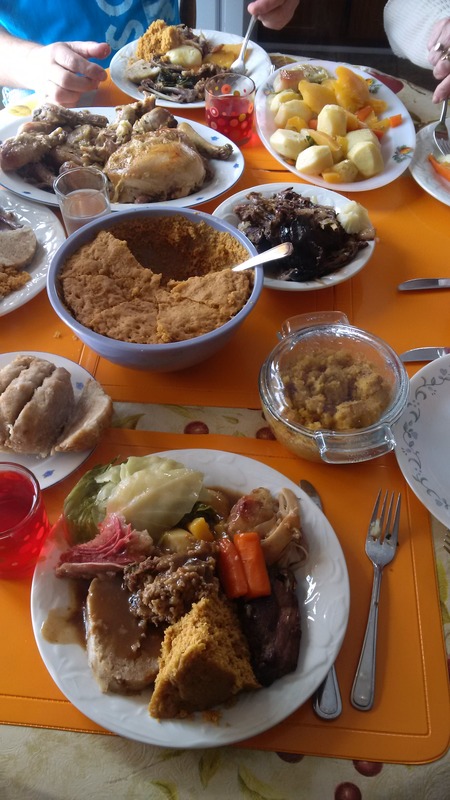 In rural Newfoundland & Labrador “Sunday Dinner”, “Hot Dinner”, “Cooked Dinner” and “Boiled Dinner” are common terms used in reference to a meal at noon on Sunday. Many great talks or yarns happen around the kitchen table in rural Newfoundland, both in the past and still today. Posted on April 12, 2014, in Cuisine, Newfoundland Recipes and tagged cuisine, meal, Newfoundland, sunday dinner, tradition. Bookmark the permalink. 5 Comments. Thanks for the comment! Happy cooking. “Ground pepper”, be aware that ground pepper can be keep only 3 month after it become tastless. The Beat advertising for NL EVER!